The vast majority of South Sea pearls are produced in Australia. Other major pearl producers include Indonesia and The Philippines. South Sea pearls are impressively large, reaching up to a whopping 20mm. South Sea pearls are produced by the Silver and Gold-Lipped oyster (Pinctada Maxima). South Sea pearls are the embodiment of luxury with specimens that reach up to 20mm in diameter. This makes them ideal for fabulous pendants. While round South Sea pearls are rare, their shape is simply flawless because they are nucleated. Similar only to the luster of the fabulous Japanese Akoya pearls, the deep inner glow of South Sea pearls is simply unmistakable. However, they come in far larger sizes than Akoya pearls, which sets them apart from all contenders on the jewelry market. 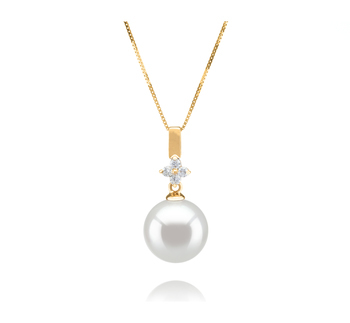 White South Sea pearl pendants are dainty pieces of jewelry. Complemented by the warmth of the yellow gold, the large 10-11mm white pearls manage to stand out as a symbol of finesse and timeless beauty. Our guidelines will help you select the perfect jewelry item for a special event. 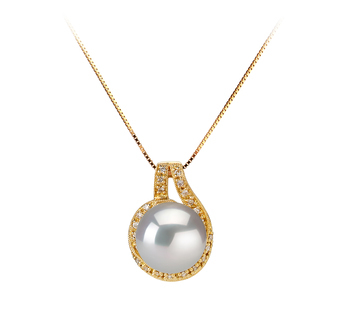 Distinguished and stunning, glamorous white South Sea pearl pendants will flatter women of all ages. 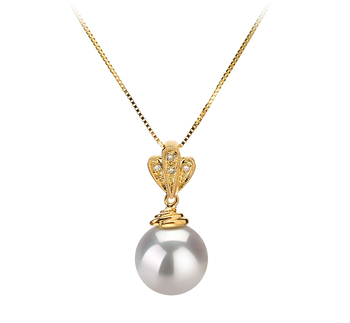 The perfectly round pearl is beautifully set in 14K yellow gold, which adds even more value to this luxury jewel. 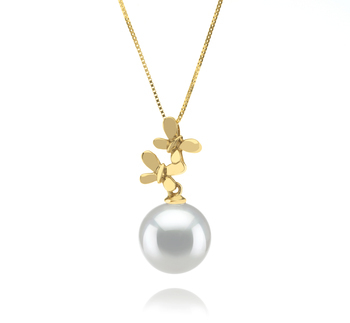 Here are a few special occasions suitable for wearing a white South Sea pearl around your neck. 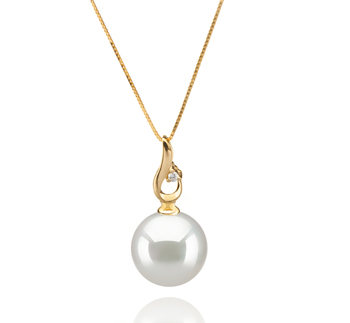 A staple for timeless elegance, a white South Sea pearl pendant is the ideal accessory for a bride or bridesmaids. The medium sized white South Sea pearl can instantly elevate the outfit without overwhelming it. Easy to wear, this sophisticated jewelry item will look gorgeous with any kind of dress and can effortlessly be matched with a similar bracelet or earrings. Investing in a white South Sea pearl pendant will instantly transform it into any woman’s go-to accessory for business meetings. The combination of the luxurious pearl and the grace of the yellow gold create a professional jewelry item that still looks chic and trendy. 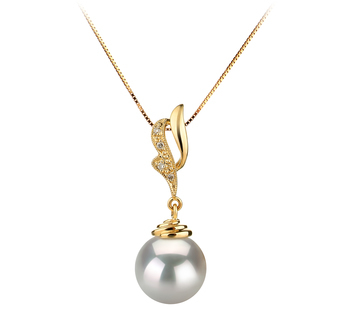 Appropriate for formal events, the pearl pendant can be worn with conservative black dresses or silk shirts. Attending high-class parties requires impressive jewelry. 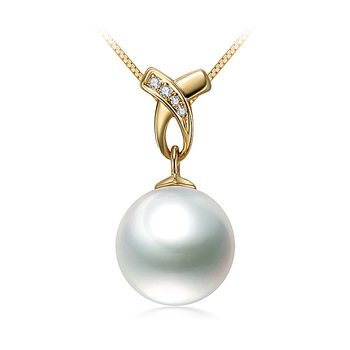 The white South Sea pearl pendant meets all the required criteria. Stylish, yet sophisticated, this pearl necklace will stand the test of time and still turn heads in a decade. Pair it with bold gowns if you want to make an entrance or with the classic little black dress if you are attending a family get-together.